Our annual Moodle upgrade was completed in the Spring and version 3.2 is available for you to prepare Fall courses. The upgrade to Moodle 3.2 brings a new refreshed look, an upgraded Grader Report and a Recycle Bin, along with other enhancements and minor changes. To learn more, watch our short video, “What’s New in Moodle,” recorded April 2017. See DELTA’s Workshops page for details on Moodle training and other offerings on teaching with technology, such as our annual Summer Shorts in Instructional Technologies event August 8-11. A new professional development and networking opportunity called DELTA-Con is available this year, as well. We just released two new tools as part of the WolfWare enterprise suite. Both tools are currently released in a Technology Preview mode. They are working versions that will allow us to solicit your feedback about the functionality and design of the tools. Please take a minute and use the feedback link in the WolfWare page footer to let us know how they work and whether there are improvements you would like to see. Top Hat: The student engagement platform, Top Hat, is now available to NC State faculty to use in their classrooms at no cost to their students. Visit go.ncsu.edu/tophat to learn more and to sign up for a “Getting Started” workshop. WolfWare Classic: Our homegrown learning management system, WolfWare Classic, is going away in May 2018. 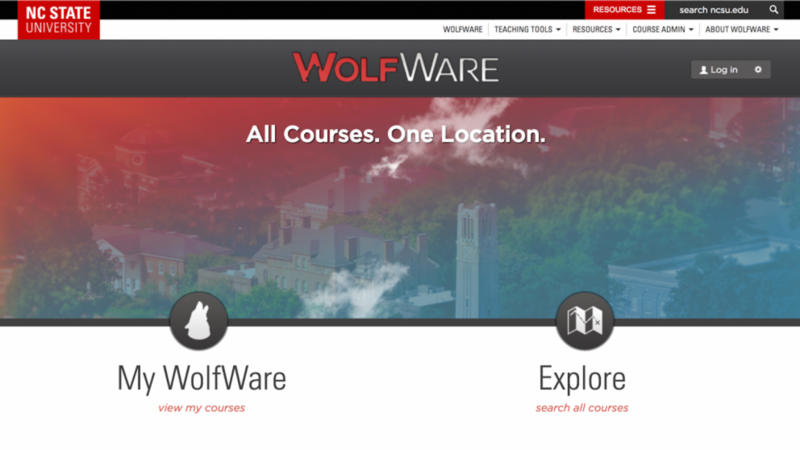 With the release of WolfWare Email and WolfWare WordPress, we have tools and services that provide faculty with similar functionality. If you use WolfWare Classic, please transition away from this system as soon as possible. We will be providing details to the campus throughout 2017 about the timeline and support options to assist with the move to Moodle and other technologies. Check out our DELTA Workshops! They’re a great way to get up to speed with using other tools. Fall Workshops: Registration is open for DELTA’s Fall Workshops. Faculty, staff and graduate teaching assistants are welcome to attend. Our first round of workshops will help you start the semester off on the right foot with your teaching with technology efforts. Learn about Moodle, Collaborate, Top Hat, online course design, and creating and using instructional video. DELTA News: Keep up with the latest information at our DELTA News site. Please don’t hesitate to call DELTA’s LearnTech help desk at 919.513.7094, or email learntech@ncsu.edu if you need assistance.